This is the drama of the NCAA Tournament: over the next couple of days, three or four college basketball games will be broadcast simultaneously on national television. Their stakes will be the same. Win and keep playing, or lose and see your season end in one of the biggest sporting events in the world. 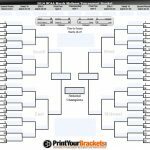 It’s a three-week event where nearly 50 million Americans will have a betting interest in some way, shape, or form. Seasons can end — and fortunes can change — on a single shot. On Thursday and Friday, 64 teams will play games in eight arenas across the United States. Many fans will follow their teams to places like Jacksonville, Des Moines, Hartford, and Tulsa to watch in person. For others, though, there is another destination: the sportsbooks of Las Vegas. 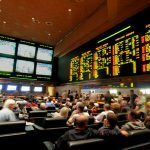 Being at a sportsbook while all the games are going on can feel like a game atmosphere,” Kyle LaDuke, a managed insurance repair analyst from Louisville, Ky., told Casino.org. This year marks the first year that American sports bettors will have legal options to bet on tournament games outside of Nevada, thanks to the Supreme Court’s ruling last May that overturned the Professional and Amateur Sports Protection Act, aka PASPA. But despite having options much closer to home, many gamblers still prefer coming to America’s Playground to take in the first weekend of March Madness. With the other seven states still in the early stages of developing their sports betting platforms, Sara Slane, senior vice president of public affairs for the American Gaming Association (AGA) said it’s too early to tell how much of a dent those states might make on Nevada’s handle, which for decades was the only state where single-game sports betting was legal. She did note that in January, those seven states combined to outperform the Nevada books, and that was with some still working to get their mobile betting platforms up and running. 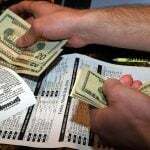 That means there is an appetite for sports betting across the country. Nonetheless, this doesn’t spell doom for Las Vegas anytime soon, Slane noted. The trips to Vegas also aren’t just about watching — and betting — on games, or seeing big upsets. It’s about being with friends and family, too. Risley, 62, will be there this weekend with the same group of four co-workers and another friend who has gone for the last dozen years. They have a routine with one sportsbook already, so they’ll stay there, but they may hit other casinos for craps and blackjack. Some of what happens on these trips doesn’t necessarily stay in Vegas, as Risley and his friends come up with new catchphrases they use throughout the year. LaDuke is also going with a few of his friends. Part of the trip will be spent with his father at the Binions sportsbook. And they know others who will be out there and plan to connect with them at some point. And isn’t that what Vegas is all about? Living large for one brief shining moment, no matter how things look once you get back home to the harsh light of reality.